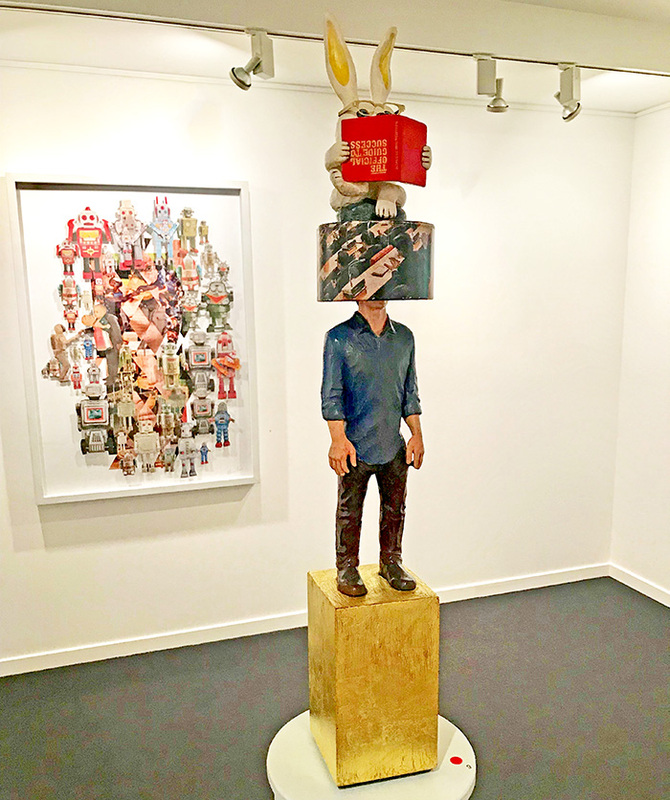 Brisbane artist Stephen Hart has opened a new exhibition, called ‘Agency: Rare Offerings from the Museum of Spent Time’ at the Jan Manton Gallery in Spring Hill. The exhibition, which contemplates technology, humanity and meaning, will be open until September 29. Stephen Hart, who is 65, is an experienced artist. 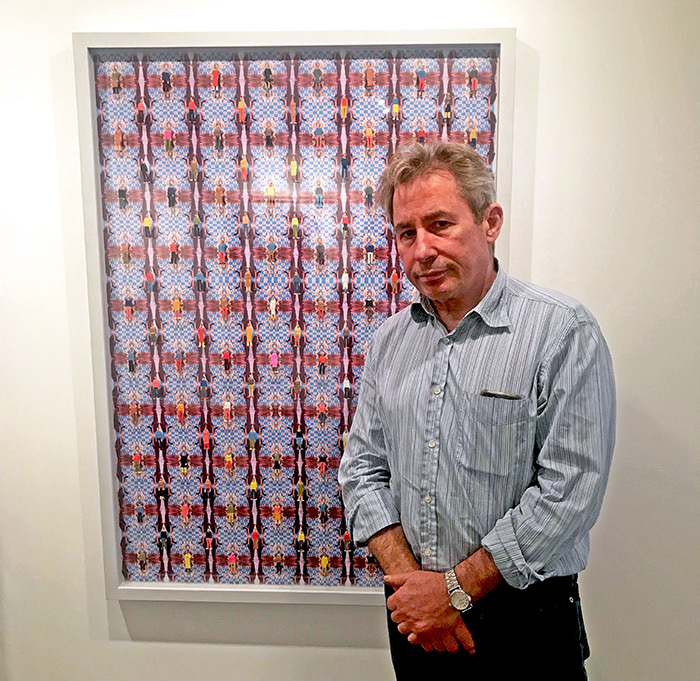 His work has been featured in galleries since the 1980s. 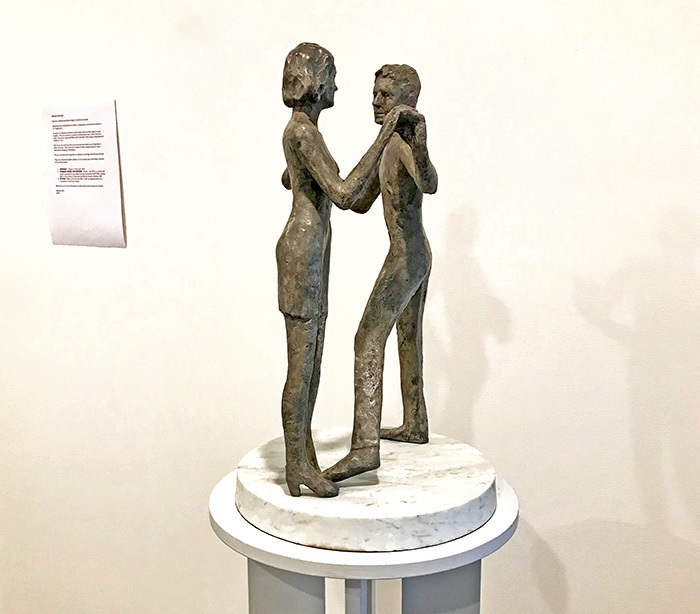 Jan Manton, who is the creative director of Jan Manton Gallery, said Mr Hart continued to develop as an artist and said his latest collection was an example of that. Ms Manton said she first saw Mr Hart’s art in 2005 at a QUT-hosted exhibition called ‘A Silent Walk’. Impressed by his creations, Ms Manton got in touch with Mr Hart and has represented him since. This is the fifth time Hart has showcased his work at Jan Manton Gallery, starting in 2006. Ms Manton said she was drawn to Hart’s work because it was about humanity. “We can relate to his work because it talks about the human condition,” she said. Mr Hart said approaching this new work was like “digging a tunnel from two sides of a mountain with a couple of currents running through it”. 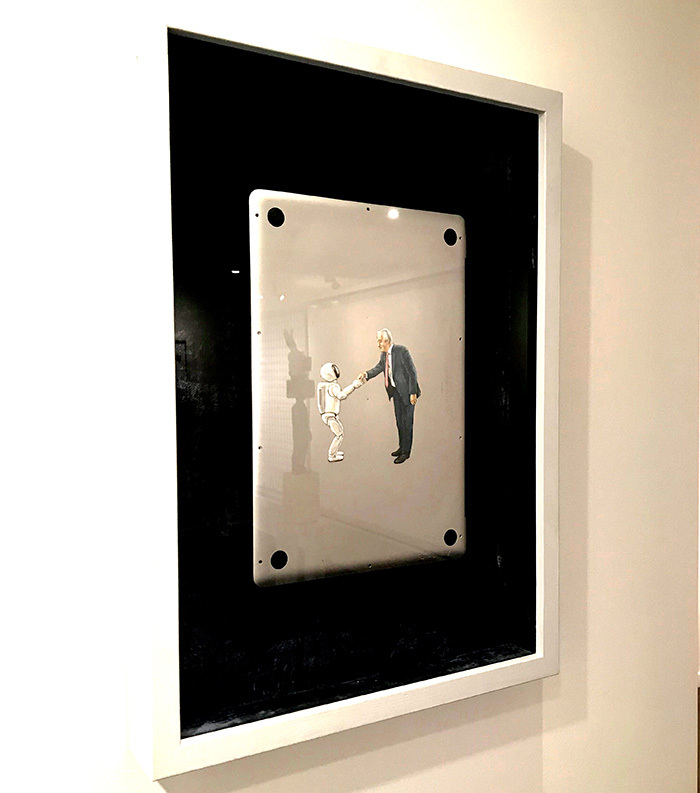 A picture of former Australian Prime Minister, Malcolm Turnbull, shaking hands with a robot in Japan was a significant moment for Hart’s latest collection. “There was a photograph of Turnbull who was ironically the then Prime Minister, he was in Japan last year, and he was shaking hands with a robot,” Mr Hart said. “It was [an] innocuous moment, if you like,” he said. Mr Hart recreated the image and featured it on a laptop, which can be seen in the exhibition. “I had an old computer, pulled it apart, and gazed into the wiring,” he said of the process. “I’m not a technological person, so it was mysterious to me but fascinating at the same time. Hart said from then on, contemplations concerning humanity and technology continued to engulf his consciousness. “I’m wondering what humans will do in the future,” he said. Mr Hart describes himself as the type of person who “always has to think about things”. “In some ways I’m a practical philosopher, and I’m working out a philosophy through my work as I make it,” he said. Mr Hart said he was “born a maker” and always drew and made art growing up. “I’m not sure if I could do anything else,” he said. Mr Hart said it was an uncertain time when a series of work was completed. “It’s an uncomfortable time,” he said. “I’m trying to manage my uncertainty by cleaning up my studio, going for my morning walk and picking up rubbish,” he said.